I have a confession, on Wednesday night I cheated. It was a long day and I was tired. I tend to cheat when I'm tired. I went and got my regular from Del Taco. With a Diet Coke, and no it's not because I'm on a Diet that I drink Diet Coke. I hate it when people make that assumption about Diet soda drinkers. I like the taste, so I drink it. Anyways, I noticed something. My taste buds have completely changed. It was DISGUSTING. I hated it. It tasted fake, almost chemically. Even the Diet Coke tasted funny. Yet I still ate the whole thing. Dumb. Anyways, I wanted to be real with you guys since that is so important. I don't want people to think I never cheated, never made mistakes and expect that perfection from themselves. It's OK to make mistakes, just let it be a cheat meal instead of a cheat day, that turns into a cheat week then progresses to giving up. I'm so proud of myself for realizing that. Instead of an all or nothing attitude. I wanted to share one of my new favorite recipes with you that I've had for my lean and green meals. Extra Lean Ground Turkey (Cooked)-6oz =1 lean meat serving so keep that in mind. What I did was first cut up my cauliflower and rinsed it. Then I put it in water and brought it to a boil until it was fork tender. Then Strain it. While it is hot, add in your garlic seasoning and wedge of laughing cow cheese. I used my ninja to blend it up until it was the consistency of mashed potatoes. I'm sure you could use an immersion blender. I got a glass casserole dish and put my ground turkey meat on the bottom layer. Here's where it gets interesting. If you're following take shape for life, then 6 oz of lean turkey meat is one serving for your meal. So you will need to do some work in dividing up your serving. From there I put on my tomato sauce made from the diced tomatoes. I put on an adequate because it counts as a "green". 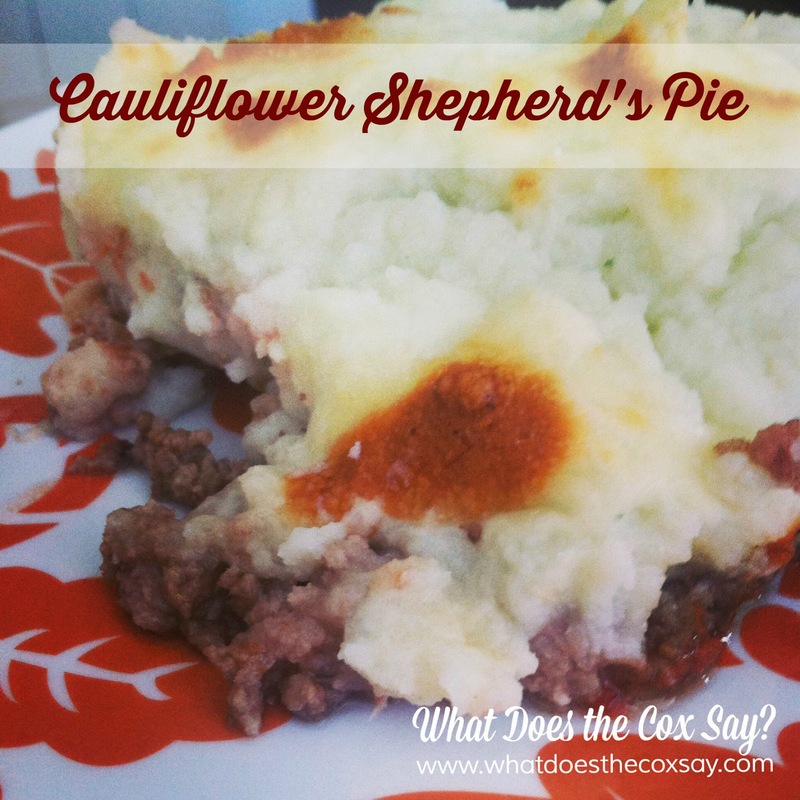 I topped it with the cauliflower mashed potatoes. And then sprinkled on 2% mozzarella cheese before I put it on broil in the oven (since everything was already hot and just needed to melt the cheese). I let it stay in until the cheese was completely melted and a little brown on top. Just the way I like it. It was delicious! I liked to eat a lil sriracha with mine, just for a little kick. But you could have ketchup or just the way it is! Just remember your condiments and counting those!